Born in 1962 in Ontario, Canada, Jim Carrey is a renowned comedian, actor and entrepreneur, and quite possibly one of the most famous comic minds of our time. However, his early years were distraught with a string of failures, with a childhood steeped in poverty, which didn’t help his cause or because his family was unable to help Carrey support his ambitions. In 1977, at the age of just 15-years old, Carrey’s family ran into severe financial problems, forcing them to move to a Toronto suburb where they all worked at the Titan Wheels factory. Carrey took a job as a janitor, doing 8-hour shifts after school had let out. However, after they left their factory jobs, they lived out of a VW camper van until they could afford enough money to move back into a house. 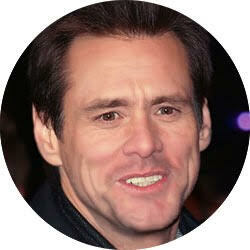 Once Carrey’s family had financial stability, he made his stand-up debut at a Toronto comedy club called Yuk Yuk’s. Supported by his dad who made the drive to help aid his son to follow his dreams, he bombed during his first time on stage. However, he didn’t give up, even after the painful failure that it caused to be heckled and booed off stage, much like Jerry Seinfeld experienced initially. Carrey kept at it. In fact, he dropped out of high school to pursue his passion. Eventually, in 1979, at the age of just 17-years old, Carrey moved to Los Angeles, and found his way into a regular stand-up gig at The Comedy Store on Sunset Blvd in Hollywood. However, after a failed marriage, and 5 years had passed, Carrey threw himself into acting roles. Initially, it didn’t pan out, but he kept at it. In 1990, after 11 years of trying to pursue his dreams, he got his break to appear on a show called, In Living Color. But it wasn’t until 1994, at the age of 32, when he got his biggest break to star in the film, Ace Ventura, 15 years after arriving in Hollywood. It was that role that helped to catapult him into stardom. While he suffered through major failure along the way, Carrey’s fame is now much talked about around the world.